Who’s ready to take on a ton of pressure? Director Kathryn Bigelow and screenwriter Mark Boal certainly must have been. Not only did Bigelow and Boal have to follow-up their Academy Award-winning work in The Hurt Locker, but the pair chose the most challenging material to do it with – the hunt for Osama bin Laden. Forget all the required research, possible political scrutiny and delicacy of the material; making the project even more demanding, bin Laden was actually killed just a short while before Boal completed his script detailing the failed hunt for bin Laden in the Toro Bora mountain range. While participating in a press conference in New York City, Bigelow recalls, “While Mark was working on the screenplay, actually quite far along in the screenplay, May 1, 2011 happened and we realized, after some soul searching, that it was going to be a little difficult to make a movie about the failed hunt for Osama bin Laden when the whole world knew that he had been killed.” And so the plan changed and Boal refocused his script on the raid on bin Laden’s compound in Abbottabad – the raid that ultimately resulted in his death. Using his experience with an American bomb squad to develop a fictitious story for “The Hurt Locker” is one thing, but writer Mark Boal’s decision to tackle the death of Osama bin Laden takes journalistic moviemaking to another level, one that comes with an immense amount of societal and ethical pressure, on top of the challenge of just making a good movie. But it’s a good thing Boal and director Kathryn Bigelow were the pair to take on that challenge because it’s highly unlikely any other duo could have pulled it off quite like them. “Zero Dark Thirty” focuses on Jessica Chastain’s Maya, a top-notch CIA analyst sent to Pakistan to join a team tasked with tracking down high-ranking members of Al Qaida, with an ultimate goal of taking out Osama bin Laden. At first, Maya doesn’t take to the CIA Black Site’s brutal interrogation tactics, but as the years go on and colleagues lose their jobs and, in some cases, their lives, Maya’s determination peaks and she does whatever it takes to gather solid intel. 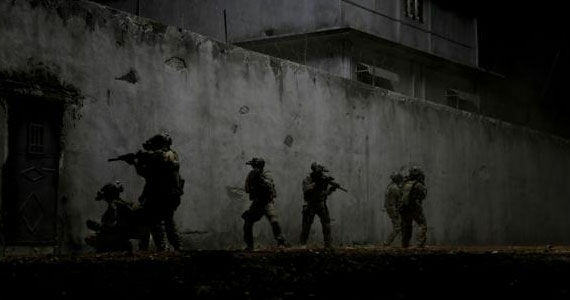 “Zero Dark Thirty” is a heavy-duty piece and Bigelow wastes no time putting the audience in the appropriate headspace. The film kicks off with a montage of 9/11 phone calls playing over black and the sequence is cut perfectly, rousing the heartache of that day through a sense of hysteria, but also by giving certain audio clips time to breathe, establishing a personal connection. By the time the film hits the “2 Years Later” title card, your heart is already pounding through your chest. It’s pretty obvious that the sports genre has a tendency to revel in formulaic inspirational storytelling. But, when you’ve got a true story with a happy ending, isn’t that effect almost inherent? According to Moneyball, no. Is that a good thing? It depends what you’re looking for. Brad Pitt is Billy Beane, the general manager of the Oakland A’s coming off a hot season. However, as Billy frequently says, nobody remembers you when you lose your last game of the season and in 2001, the A’s lost to the New York Yankees in the playoffs. And that’s not even the worst of it. Billy is about to lose his three hottest players and has just $38 million to recoup his losses, a fraction of the budget of most MLB ball clubs. In comes Jonah Hill as Peter Brand, a Yale graduate with a pension for baseball. Billy snatches him up from an entry-level position with the Cleveland Indians and makes Peter his assistant GM. Together they use Peter’s computer-based system to put together a championship team on a budget. While most look at players like the injured catcher, Scott Hatteberg (Chris Pratt), and 37-year-old David Justice (Stephen Bishop) as liabilities, Peter and Billy see them as cheap grabs with promising skills. What’s going on with the comedy genre? Why can’t anyone come up with something original? At least Take Me Home Tonight manages to create a pleasurable atmosphere. The plot’s predictable, the gags are unoriginal, the 80’s look is cartoonishly cliché and, overall, the film isn’t all that entertaining, but thanks to some pleasant characters, it’s surprisingly hard to flat out dislike. Now is that a backhanded compliment or what? At the close of the summer of 1988, Matt Franklin (Topher Grace) is at a loss. He just graduated from MIT, but opted to work at a mall video store rather than a Fortune 500 company. His buddy, Barry (Dan Fogler), took a pass on college all together to work for a local car dealership. Unfortunately for him, his shady sales tactics catch up to him and he gets the boot. Then there’s Matt’s twin sister, Wendy (Anna Faris), who’s torn between her dream of going to graduate school and her boyfriend Kyle’s (Chris Pratt) dream of starting his own model family. However, tonight everything changes because tonight is the night the trio takes their first baby steps forward and reunites with their high school class to get wasted, share success stories and witness someone ride “the ball” at a massive Labor Day party. For Matt that means finally talking to his high school crush, Tori Frederking (Teresa Palmer), for Barry it means washing away his jobless sorrows in cocaine and ladies and for Wendy, deciding whose goals are more important, hers or Kyle’s.